Those cheeky Chinese have done it again and created a physical version of the online CCG sensation Hearthstone. 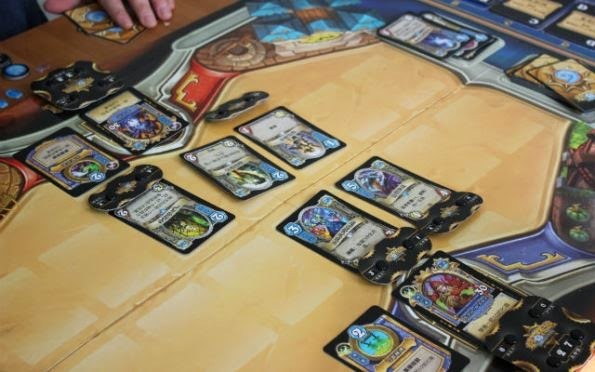 Since first released by Blizzard card gamers have been asking if Hearthstone will come to a physical version, hoping for a replacement for the now defunct World of Warcraft TCG but most people who have played Hearthstone agree that it just wouldn’t work as a physical game. But that hasn’t stopped Chinese retailer Taobao from selling a copy of the game. As reported by Games in Asia the game runs a lot slower in real life and isn’t tweaked for balance like Blizzards digital version. Both these issues go to show off just how clever Blizzard has been with their design and implementation. Will this get shot down by Blizzard? Well I doubt it. Copyright infringement in China is rife, this is the country of Nikee sportswear, eyePhones and, let’s not forget, the World of Warcraft theme park. This also isn’t the first time we’ve seen Chinese dabble in Hearthstone not only have they produced a very familiar looking digital card game but also modded the game to make it a co-op .